The ingenuity and skill will be in vain. Why should he fear anyone? Eyes do their work of seeing. Not far away, under the verandah, the American devotee, Isaac Tigrett, was the only one occupying a chair, hence his presence was overall noticeable. Several times, he turned around and our eyes met. He was one of the devotees I had always wanted to see and also to meet. Isaac Tigrett is the Founder of the Hard Rock Café and the House of Blues. He is also the unseen ‘architect’ behind the Super Specialty Hospital in Puttaparthi. 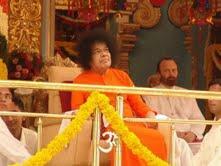 A man with a big heart, he is an important donor to the Sri Sathya Sai Central Trust. I had read a lot about him, his childhood, his adult life and his good deeds as a Sai devotee. I thought that we had lived similar life experiences and we have had the same or almost the same amazing experiences with our common sadguru , Baba, taking into account that the experience of each and every devotee is a unique divine romance with the Lord. By Baba’s will, I was seeing Isaac Tigrett as if he was posed there especially for me. ‘Thank you, Lord!’ I murmured to Baba. I could sense that a meeting, designed by the Divine Will between Isaac Tigrett and me, was not very far ahead. Possibly, we were both the actors in a play staged by the Lord because he knows every recess of our heart, our desires, our innermost feelings and our deepest thoughts. This entry was posted in Short story by Anita Bacha. Bookmark the permalink. Hiya Sri Kapil Hanuman! When we dedicate all ours thoughts, feelings and deeds to God, then..only then we are able to identify what is god’s divine play. On the other hand, if we are able to realize our own feelings then we are god. But I have not reached this stage yet when I can produce such results. So far I beleive in god and he answers all my prayers. Reblogged this on Anita Bacha.